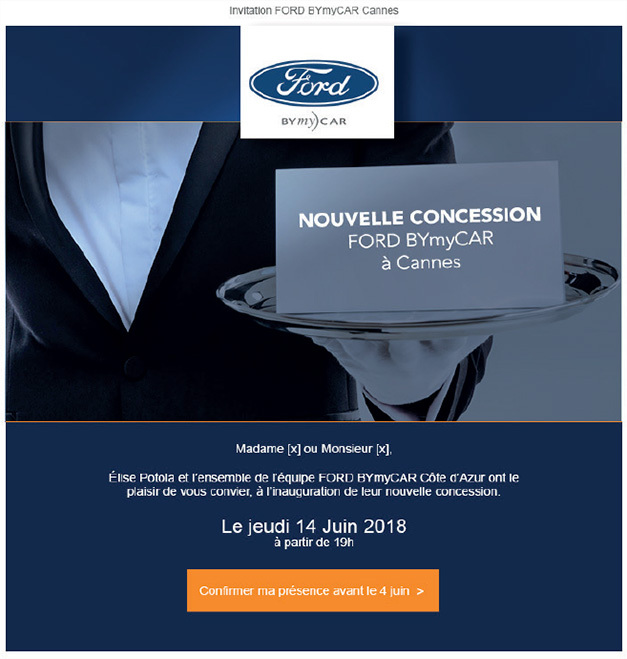 FORD BymyCAR Côte d’Azur, a large car dealer, wished to update and upscale its identity and communication. MADMINT created and deployed the new identity throughout all communication materials. 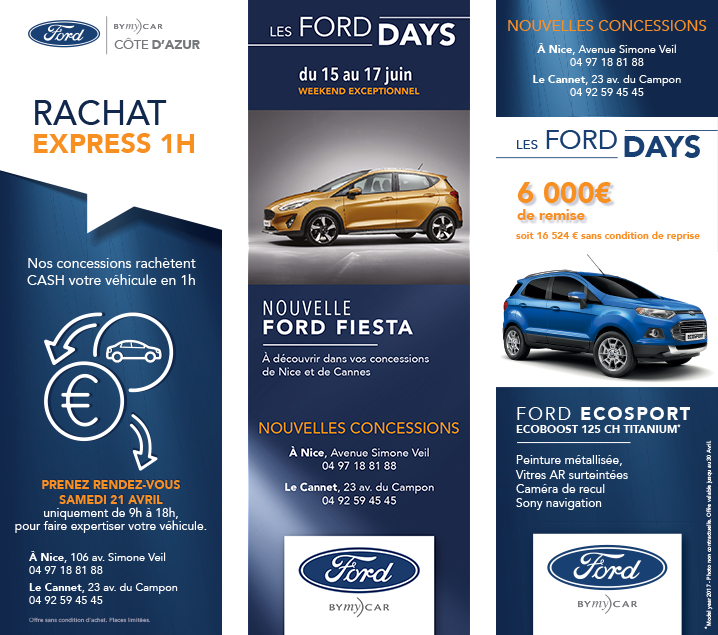 We created comprehensive signage for all the regional dealers through kakemonos and decaling, along with a full stationary range: headed paper, envelops, with compliments slips, business cards, flap folders and flyers. 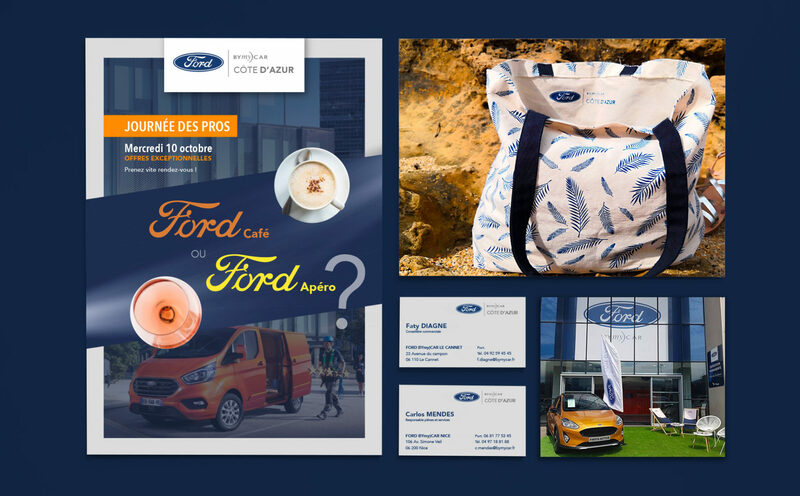 The design and conception of tailor-made goodies such as fabric bags to give customers completed the new graphic identity. Publications through numerous newspapers, magazines, billboards, emailing and more were realised to launch the new visual identity. 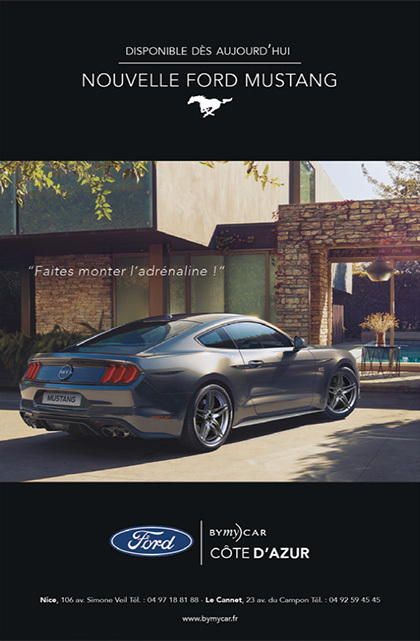 MADMINT also saw through the covering of FORD D’AZUR special series vehicles.